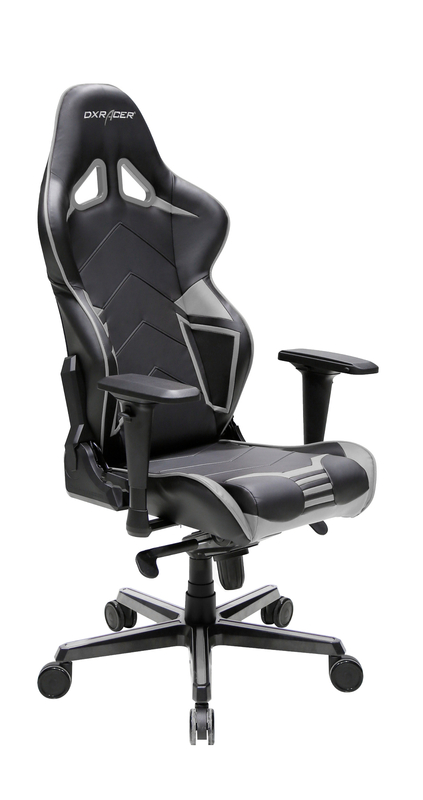 Recommended weight limit up to 100kg, height limit up to 5'8"
DXRacer’s Racing series of gaming chairs are ergonomically constructed with a slimly built body similar to the Formula series, but with an even taller backrest for even more support for your neck and upper back. The 3D armrests and the fully adjustable backrest that can tilt between 90° and 135° allows for extra customisability to fit your personal preferences while performing different tasks. The back support combined with the 3-dimensional armrests offers respite from back and shoulder pain or issues such as kyphosis and carpal tunnel. The tubular steel frame and star base with SGS certified gas lift holds weights up to 100kg. 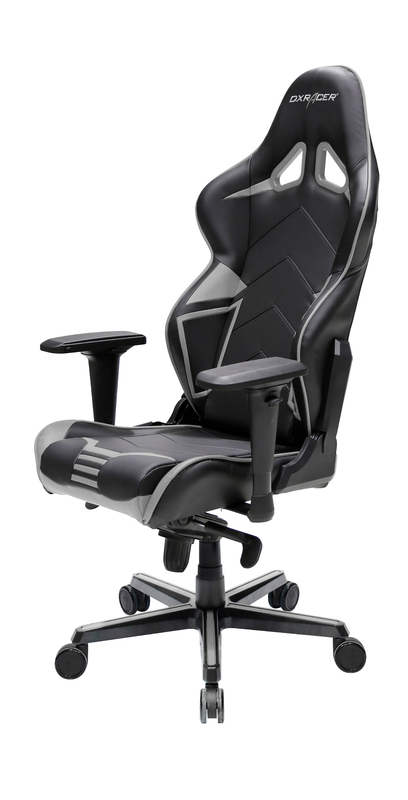 The headrest and lumbar cushions along with the dense cold foam in the seat helps you sit up straight and maintain correct posture even after long hours in front of the computer. The chair control unit makes it possible to rock back and forth or lock entirely in a horizontal position or other angle of your choosing. The 2” polyurethane casters are virtually noiseless and can roll over any flat surface smoothly. Get ready to lock yourself in to your favourite racing style bucket gaming seat with the DXRacer Racing Series of gaming chairs!